I recently had the pleasure of participating in a food walking tour with Culinary Adventures with Liz Biro in November of 2012. We started the tour at the foot of Market Street in front of the Cape Fear River. Liz began with some general history of our Port City, and gave background information on various buildings as we ventured to South Front Street for our first stop: The Fortunate Glass. There, we sampled a Tamale with Sweet Corn Masa, Chicken and Mole Sauce paired with the wine Fess Parker Viognier, Santa Barbara, California. The second pairing was Duck Confit Empanadas with Peach Chutney & Cline Mourvedre, along with the wine Contra Costa County, California. Celeste Glass, co-owner of The Fortunate Glass, gave in-depth descriptions of the many tasty treats. We headed north on Front Street to our next stop, Nick’s Diner, where we sampled Italian arancini (deep-fried cheesy rice balls) with Siracha aioli and a couple of the restaurant’s popular Black Iron Mac & Cheese skillets, one being the Athena with bacon and prime rib. A fun fact I learned about Nick’s is that their chefs are identical twins! Who knew?! Across the street from Nick’s Diner is Chops Deli, where co-owner Brad Corpening treated us to two of the shop’s specialty sandwiches: The Malmo (ham and cheese spread, maple glazed chicken breast, tomato, red onion and savory mayonnaise on multigrain) and The Monaco (lemon pepper chicken breast, mozzarella, arugula, tomato, fresh basil and a tomato pesto sauce on three cheese semolina). Chop’s Deli recently opened a second location in Monkey Junction, and Brad informed us that this location is now expanding its hours to cover dinner time. It’s always great to hear that downtown entrepreneurs are doing well! Liz led our group back down to Market Street for our fourth stop at Caprice Bistro. There, Chef Thierry Moity served a delicious beef bourguignon while his wife, Patricia, poured everyone a glass of beaujolais nouveau in honor of the wine’s annual release on the third Thursday of each November, which was the Thursday before our tour. We ended the tour back on South Front Street at Aubriana’s, where Chef Alex Succop served a shrimp fra diavolo bruschetta. We were also served a cocktail named The Sinner & The Saint, consisting of Wild Turkey 81, St-Germain and soda water. I must admit never having dined at Aubriana’s, I was blown away by the beautiful interior of the restaurant. This particular food walking tour rotates several restaurants. Some of those not included on this tour are Black Sea Grill, Hot Pink Cake Stand, Manna, Mixto, Phun Seafood Bar, Dixie Grill and Port City Java. Liz Biro does a fantastic job of creating a true culinary experience, allowing you to hear the stories and meet the people behind downtown Wilmington’s vibrant food and restaurant scene. Also check out a video of this tour by Kristen Lubben! It’s not everyday that two great businesses come together under one roof. Old Books on Front Street and the bakery, Sugar on Front Street, have created an epic partnership in Downtown Wilmington. Old Books on Front has long been a cherished store of local book lovers, and Sugar is known for some of the best local sweets and treats in Wilmington. Old Books on Front is an “indie” bookstore that first opened in 1982, featuring over two miles of books. 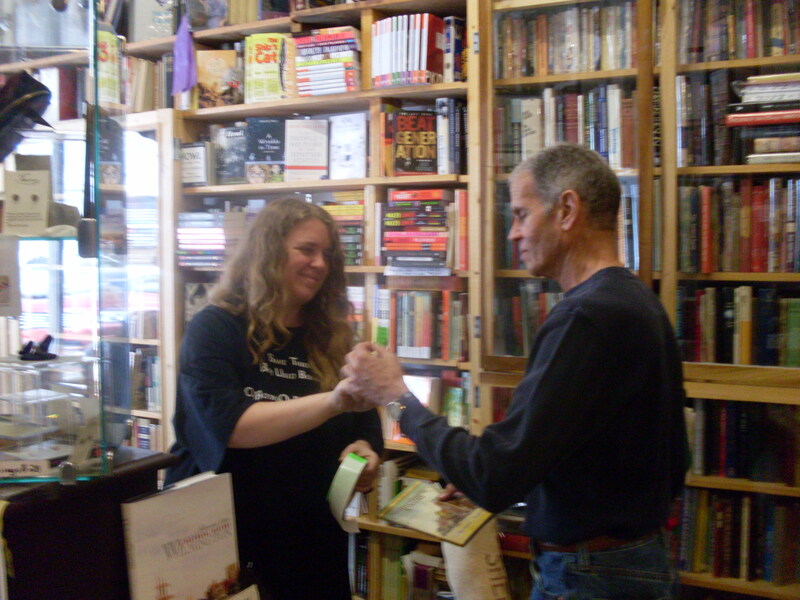 Gwenyfar Rohler is now the store’s managing partner, and loves making every visitor feel welcome. She greets everyone by name, and considers regular customers to be personal friends. Old Books on Front Street can feel like a home away from home after a few visits. It’s a great place to find solace, or to socialize with friends over a board game. 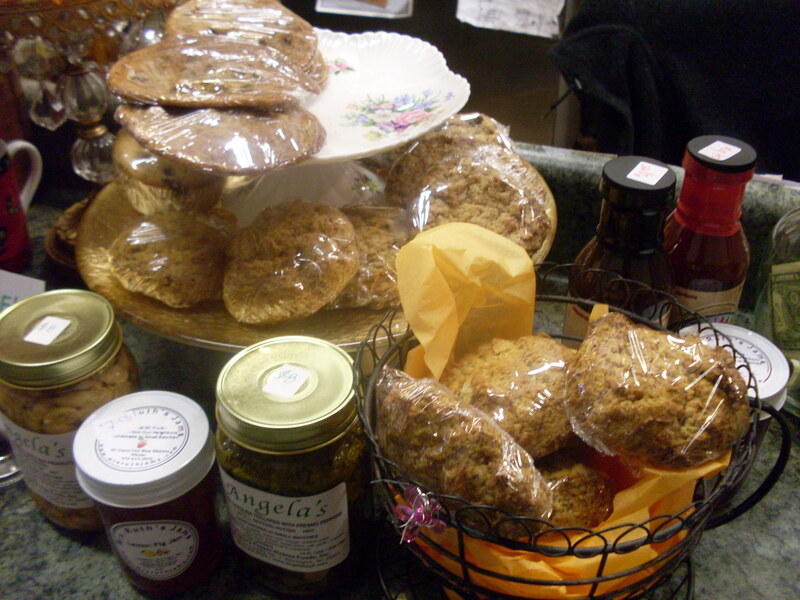 You may never want to leave if you try some of Sugar’s delicacies! “It has been the most adventurous three years of my life,” Samantha told me over a cup of green tea. The tea was the best I’ve ever had. I also tried an oatmeal cream pie and, oddly enough, the taste reminded me of Christmas time with my family. Samantha Smith is truly a master of her art, and I encourage everyone to taste for themselves. These businesses share a passion in their belief of shopping local. With the many chain stores in communities, it can be easy to forget about small businesses. However, these local shops often have more quality products and, better yet, the money you spend stays in your local economy. Old Books and Sugar on Front Street bring the best in local products, and offer a one-of-kind experience you will only find in Downtown Wilmington! Looking for a real scare this Halloween? Not the latex and fake gore kind of scare, but real fright that chills your spine. Take a break from the haunted house this year and visit downtown Wilmington for The Ghost Walk of Old Wilmington, named one of the Top 5 Ghost Walks in America by USA Today and one of the Top 10 Overall Tours in America by Tripadvisor. I went on an 8:30pm tour led by Anthony Lawson, one of the many talented tour guides employed by The Ghost Walk. Anthony has lived in places such as Kansas and the Philippines, but Wilmington has a special appeal for him. 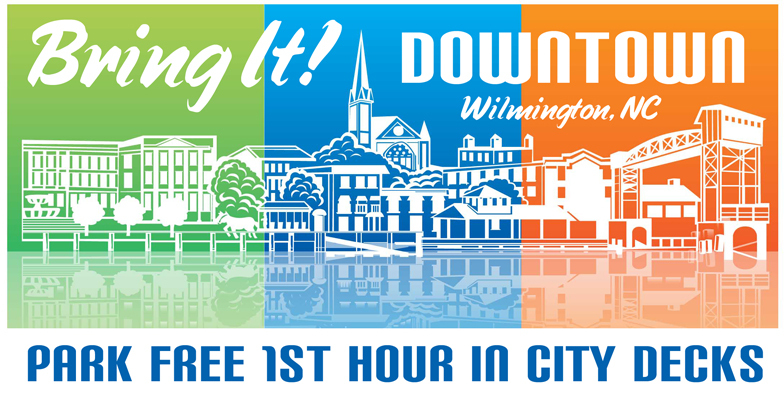 The Ghost Walk of Old Wilmington is a 90-minute walking tour that covers five locations per tour. A popular site is Gallow’s Hill, the most active haunted site in Wilmington. The town gallows were located here back in the day, and any unclaimed bodies were buried in a mass grave on the property. This place is the source of many stories and strange occurrences, and gives people the chills to this day. The Ghost Walk will give you goose bumps, but it will also educate you about the history of Wilmington. They’ve dedicated 34 years to researching the ghosts of Wilmington, and continue to add to that research. Visitors are encouraged to bring their cameras and take lots of photos, as it is not uncommon for ghosts to make an appearance during the tour! So change things up this Halloween and head to downtown for real history and some great ghost tales. Visit the Facebook page and the website for tickets and times, and while you’re there look at some of the haunted photos taken by previous walkers! A new event is coming to downtown Wilmington on November 3: TRUCK-a-ROO. Coordinated by Wilmington Downtown, Inc. (WDI) and Pipeline Events, the event will feature six local food trucks competing for the title of ‘Best in Show.’ The line-up includes The Cheesy Banker, Catch – the Food Truck, Flaming Amy’s Sacred Burrito Bus, Patty Wagon, Poor Piggy’s BBQ and Webo’s Down Home Cooking. These trucks will be providing samples of their best menu items to Ballot Card holders. Folks may purchase a Ballot Card for $10 to sample all trucks and vote for their favorite. Local craft brews and wines will be available for purchase, and a great line-up of bands is scheduled to perform at the event. The Cheesy Banker specializes in grilled sandwiches featuring thick slices of Texas toast. Choose from a classic grilled cheese or a turkey Havarti melt, all prepared by chef Irving Vasquez. The Cheesy Banker also offers catering, and their truck can be located each day by connecting with them on Twitter or Facebook. Catch is all about fresh seafood and local produce. Their food truck is an extension of their two restaurant locations, Catch and Phun, operated by chef Keith Rhodes. Keith has been voted the city’s best chef for three consecutive years, and even competed on Bravo’s Top Chef Texas! Patty Wagon will be in attendance also, serving burgers they say are “worth doing time for!” Operated by James Smith, the Patty Wagon cooks 1/3 pound burgers made from ground chuck he picks up fresh from Carolina Farmin’ on brioche buns. Poor Piggy’s BBQ specializes in genuine slow cooked and smoked NC barbecue and beef brisket. Their truck has participated in state-wide competitions, winning titles of both first and second place. Poor Piggy’s currently has two trucks serving Wilmington, and you can locate them daily on their website. Webo’s Down Home Cooking will be rolling out their food truck to serve their famous turkey barbecue! Run by Hardie Balland and Kenyetta Austin, Webo’s has been catering in Wilmington for eighteen years. They serve a variety of foods such as fried fish, shrimp burgers and even funnel cake. 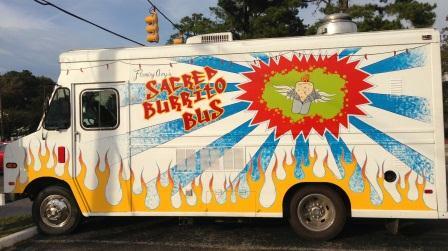 Flaming Amy’s is new to the food truck scene, but they have made an impressive entrance with their “Sacred Burrito Bus.” This truck is a delight to the eyes as well as the stomach, with colorful art treatment by Rare Airwerx. TRUCK-a-ROO will be their big debut, so be sure you don’t miss this awesome truck! Groove Fetish will play from 4:15pm to 5:15pm. This newly formed jam rock band is best known for playing a variety of cover songs from different genres in a way that exemplifies their original sound. 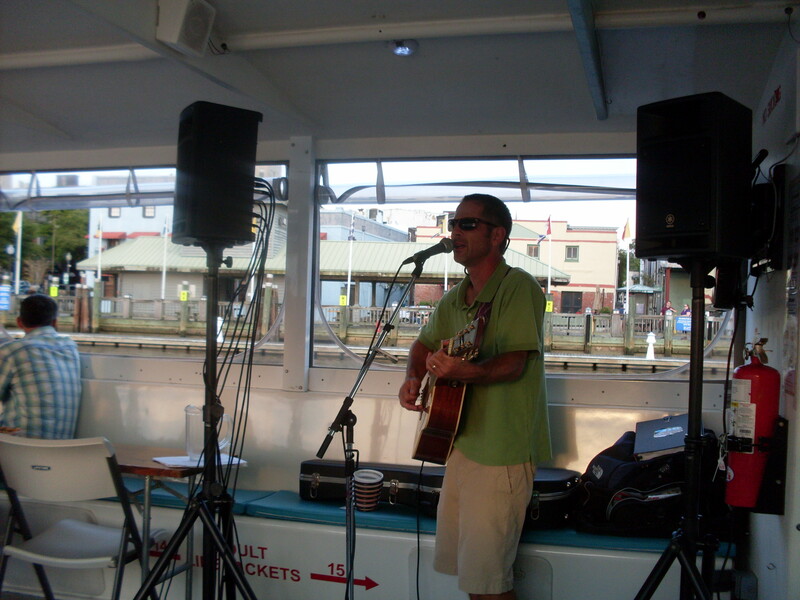 Fred Flynn and Wes Sayer will play from 5:30pm to 6:30pm. This dynamic duo with features songs from old soul and rock, to americana and jazz infused originals. Jesse Stockton and Dead Sparrow will play from 6:45pm to 8:00pm. This local three-piece band consists of Jesse Stockton, Tom Shaw and Ben Privot playing a unique blend of folk and blues. FREE trucker hats given to the first 200 people to arrive at the event with pre-sale Ballot Cards! Win two FREE Ballot Cards by liking the Facebook page and tagging them in a post! The contest runs each week, Monday through Friday at noon until November 3. TRUCK-a-ROO is taking place on November 3, from 4:00pm to 8:00pm at Riverfront Park in Downtown Wilmington. With the purchase of a Ballot Card for $10, you will have the opportunity to sample a savory selection from each of the trucks and cast your vote for the ‘Best in Show.’ You can purchase a pre-sale Ballot Card from the event website by clicking on the ‘Ballot Cards’ menu item at the top. Please note that a $2 fee applies when purchasing a Ballot Card online. You may bypass this fee by purchasing your pre-sale Ballot Card with cash or check at the WDI office located at 221 North Front Street, Suite 102. Bring It! Downtown on November 3, and make sure to check out all the great restaurants and shops downtown has to offer! Park in any of the city-owned parking decks to receive your first hour free of charge. Live on-board music can’t be beat! Beautiful scenery, live music, good company and great drinks– what more could anyone ask for? 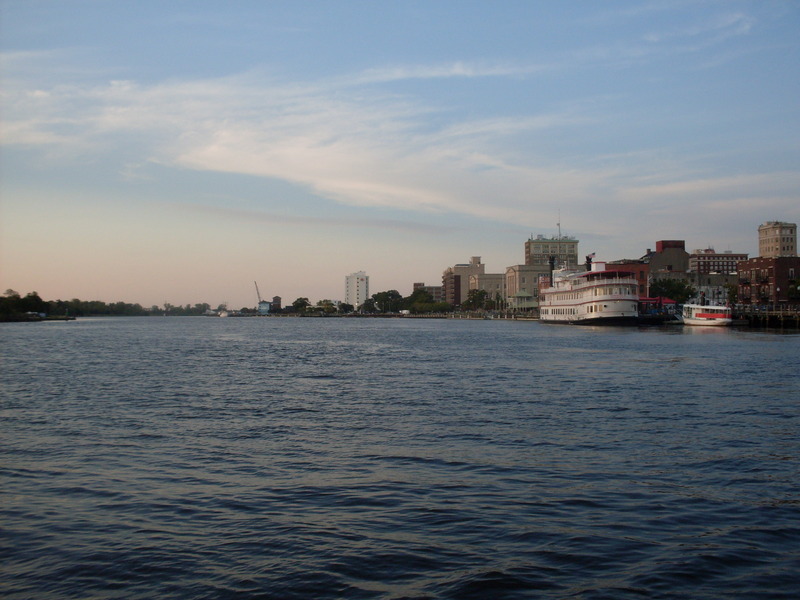 Wilmington Water Tours offers all of these things and more, giving a new twist to spending a night in downtown Wilmington. Captain Doug Springer and his wife Diane started their business in 2010 along with Garland Valentine and Mary DeLollo. With their custom built boat, The Wilmington, Wilmington Water Tours has hosted 30,000 passengers and offers cruises year round. The unique design of The Wilmington has helped with their success. The engines are very fuel efficient, using the same amount of fuel whether they cruise with one person or forty. The boat also has a wake cancelling design, which makes it stable enough to allow passengers to walk about with ease. It can even become fully enclosed with heating for comfortable winter cruising. 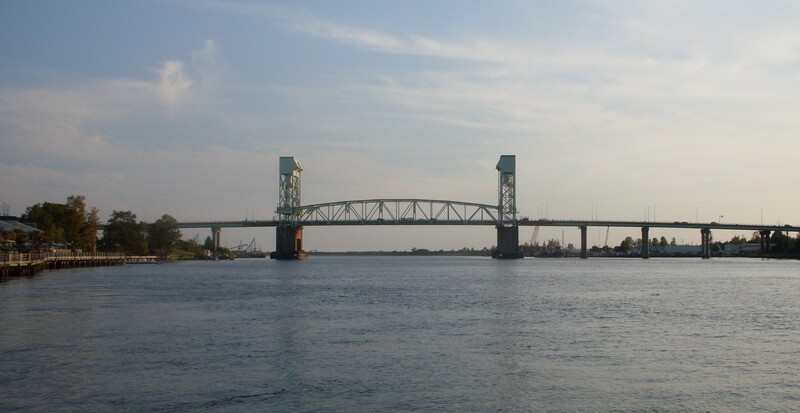 Of course, there is more to Wilmington Water Tours than just an awesome boat. Doug and Diane strive to make every passenger feel welcome and part of the family. Go on enough cruises and you can qualify as a frequent cruiser, allowing you to enjoy a free cruise every Friday night. I had the chance to speak to one of their frequent cruisers about why she enjoys Wilmington Water Tours. “There are always such great people on board. Whenever I need a break from life on the land, I come here and relax on the water. It’s my mini-vacation,” says Gerry Owen. Wilmington Water Tours is also dedicated to ecology and environmental education. Doug and Diane are both involved with Cape Fear River Watch, and are always sharing their passion for the river with others. This passion is what gave them the idea for their business in the first place. Conservation is at the heart of Wilmington Water Tours. It’s not just about the enjoyment of cruising the river, it’s about building a community of friends dedicated to protecting and enjoying one of our best resources. I encourage everyone to spend an evening aboard The Wilmington and see for yourself the magic and beauty of a sunset on the Cape Fear River. Visit the website for information on cruises and private charters. Have a taste for the unique and extraordinary? 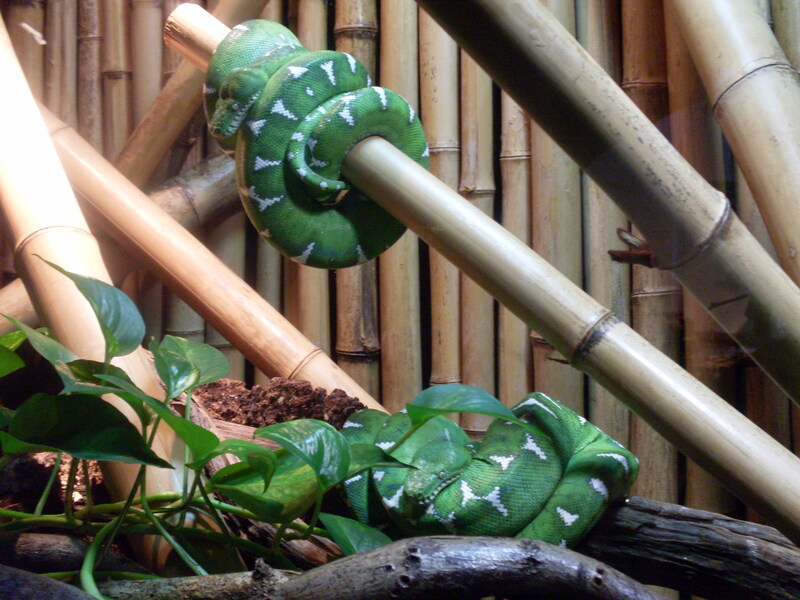 The Cape Fear Serpentarium, located in downtown Wilmington, is just the place to get your fix! I’ve had the privilege of seeing many fine reptile exhibits and snake collections, but the Serpentarium still amazed me. The 10,000 square foot structure features 54 exhibits with up to 150 animals on display at any given time. I found specimens of every kind of venomous snake, and even some crocodiles and poisonous lizards! 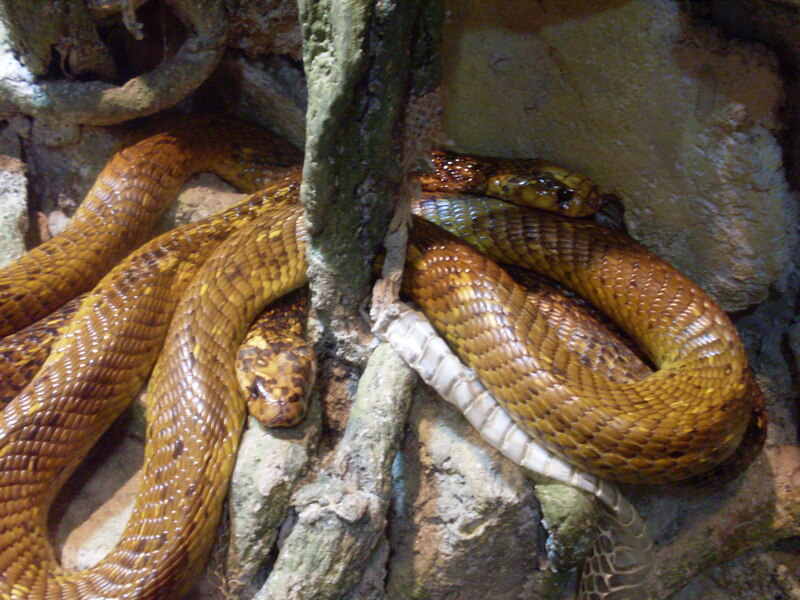 Snakes such as the Eastern Diamondback Rattlesnake, Anaconda, Burmese Python, Spectacled Cobra and the Bushmaster of South America are housed in the Serpentarium. The Bushmaster is one of the rarest and deadliest snakes in the world — it’s as deadly as the saying goes, “if you are bitten, go find a tree to sit under and wait to die.” These snakes have diminished greatly in number due to the loss of habitat in South America. 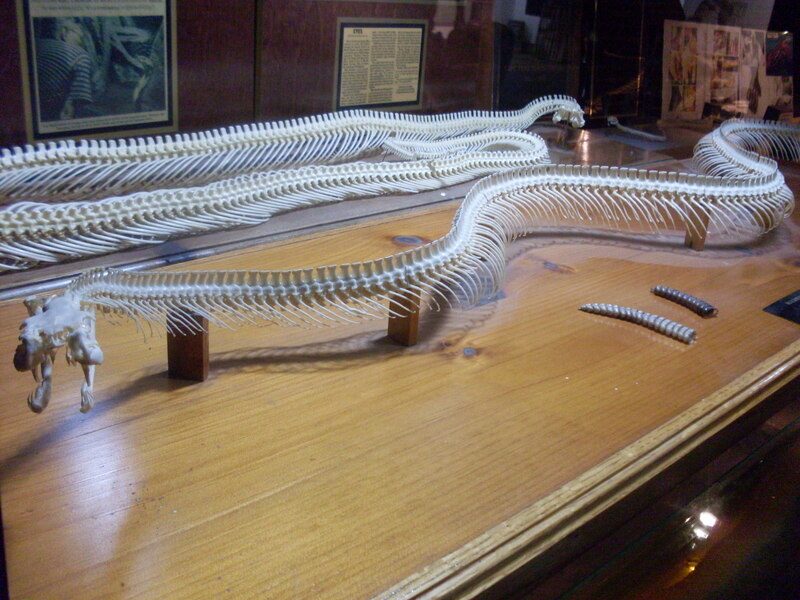 Little was known about these snakes until the research of Dean Ripa, owner of the Serpentarium, was released. Through his work, it has been discovered that there are three distinct species of Bushmaster snakes, and possibly a fourth. 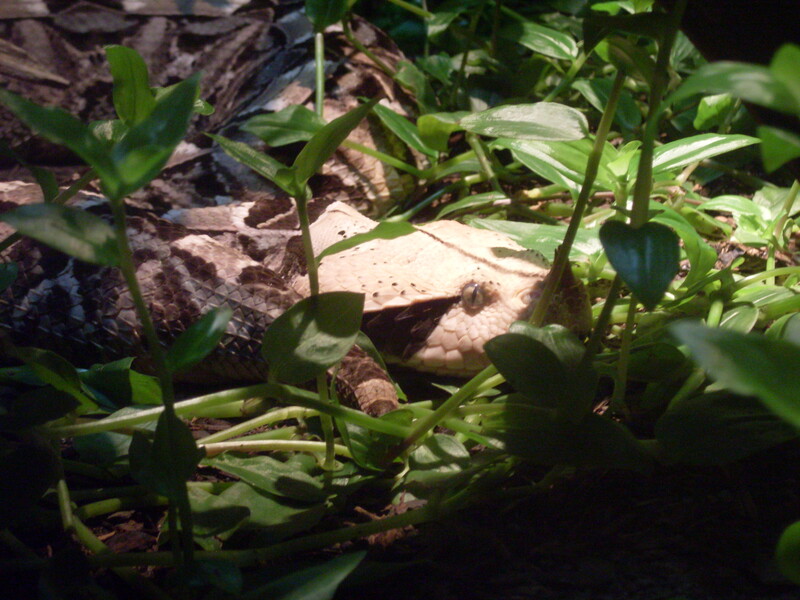 The Blackheaded Bushmaster is one of these species, and the Serpentarium has the only captive breeding population in the world! If you see this rare snake at any other institution, it stemmed from the Serpentarium’s reproduction program. Despite the toxicity of the Bushmaster’s venom, it cannot compete with the death toll of the Spectacled Cobra. Its habitat is in densely populated areas with little access to quick treatment of bites, and people in those areas usually walk barefoot. Spectacled Cobras claim an estimated 20,000 lives each year, and almost two million each century! The Serpentarium also has several species of rattlesnakes on display, one of which is unique to the Wilmington region. The Eastern Diamondback Rattlesnake’s habitat ranges from southeastern North Carolina to Florida. However, due to habitat destruction and collecting and killing of adults, very few diamondback rattlesnakes survive in our state. Diamondbacks differ from their smaller and more abundant relative, the Timber Rattlesnake, in their distinctive diamond-shaped skin pattern. Eastern Diamondbacks are now protected in North Carolina, and are one of our largest snakes in the state. While venomous snakes kill the greatest number of humans, most people fear becoming a meal for the large Anaconda or Python. This is a very rare event, as most people are simply too large to be consumed. 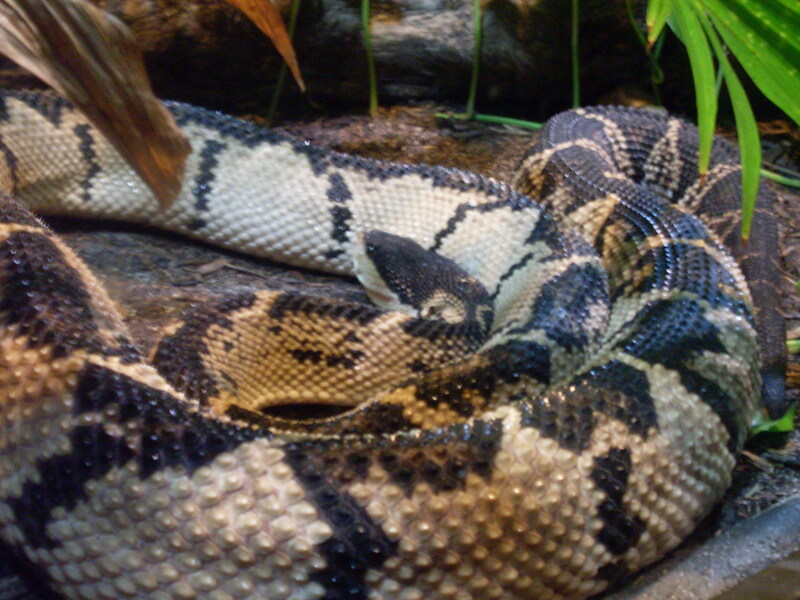 However, the Serpentarium displays the African Rock Python — one of two species of snake that have actually consumed humans. These large snakes are opportunistic feeders, eating young crocodiles, goats, warthogs and even the occasional human. The most recent attack was in 2009, when a farmer stepped on a specimen and was dragged up a tree by the snake. Luckily, he managed to escape by using his cell phone to call for help. There were many species of deadly snakes on display, and it was easy to be overwhelmed by the sheer number of beautiful reptiles. I greatly recommend reading all of the plaques by the displays; each one tells a unique, and often surprising, story about the animal. I encourage all locals and tourists to visit the Serpentarium, and make sure to check out the live feeding events they offer on weekends! 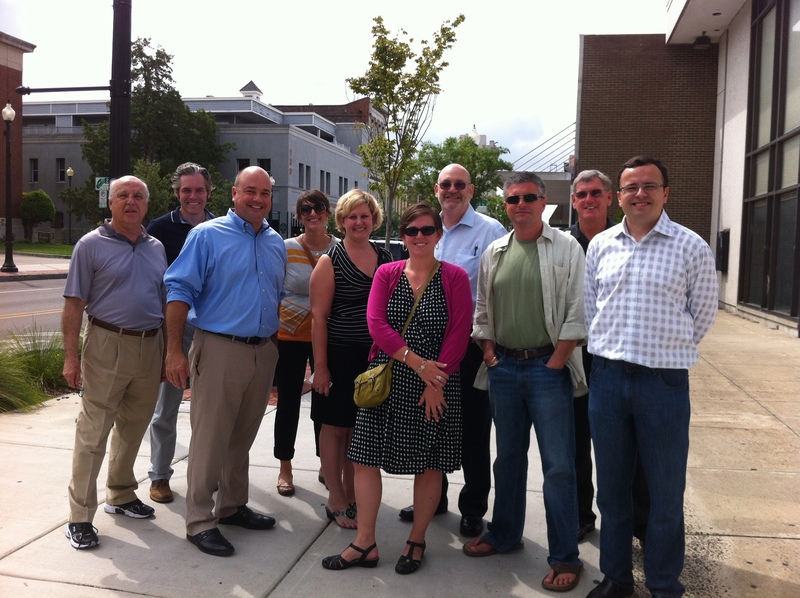 This year’s North Carolina Downtown Development Association (NCDDA) Large Cities Forum was held in downtown Wilmington and hosted by WDI President and CEO, John Hinnant. Downtown development representatives from Greensboro, Winston Salem, Greenville, Durham, Burlington, Cary, Chapel Hill, Fayetteville, and Raleigh participated in this two-day event. A dinner was held at a popular downtown bistro Wednesday night, followed by a nightlife walking tour led by John Hinnant. Everyone took this opportunity to share ideas and discuss their challenges and successes associated with managing nightlife in their downtowns. Everyone enjoyed the walking tour. A meeting was held Thursday morning to discuss the priorities and overall purpose for NCDDA. Next, Dr. Seth Grossman led a discussion on the profession of business district management, and explained how downtown managers can use the Rutgers University’s online degree program to their advantage. Raleigh’s Clean & Safe Ambassador Program was also discussed, and Captain Kevin Craghead gave an update on the recent crackdown on violence in downtown Raleigh. Thanks to recent department efforts, both the number of weapons being seized and violent crimes have been reduced. In addition to these efforts, the number of DWIs has also gone down. The forum ended with a discussion led by Dan Howe, Raleigh’s Assistant City Manager, on how local governments and downtown organizations can assist each other with identifying creative financing options to improve downtown areas.